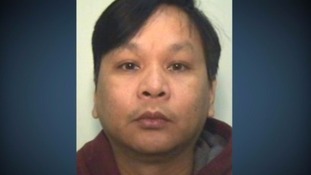 The Court of Appeal will decide if former Stepping Hill nurse Victorino Chua, convicted of poisoning his patients, will be allowed to appeal his murder convictions. Chua is seeking leave to appeal the convictions which saw him jailed for 35 years in May last year. He was convicted of two counts of murder, intentionally causing grievous bodily harm, and attempting to intentionally cause grievous bodily harm to 21 other patients. Chua was given a total of 25 life sentences for his crimes. He always denied allegations he deliberately tampered with saline drips that were stored on acute treatment wards at Stepping Hill. A hearing will take place today at the Court of Appeal to discuss his application for leave to appeal.